No matter why you are seeking a career change, over this workshop you will discover the essential career decision steps you need to find clarity, overcome fears and find a career you love. Inspiring activities within a supportive environment where you’re facilitated through a seven-step method. This unique 7 step method provides a practical approach and, in conjunction with the activities and resources provided, guides participants to have aha moments and make significant and life affirming career decisions. What do participants get out of this workshop? An invitation to ongoing coffee catch-ups providing momentum to keep going with group support. 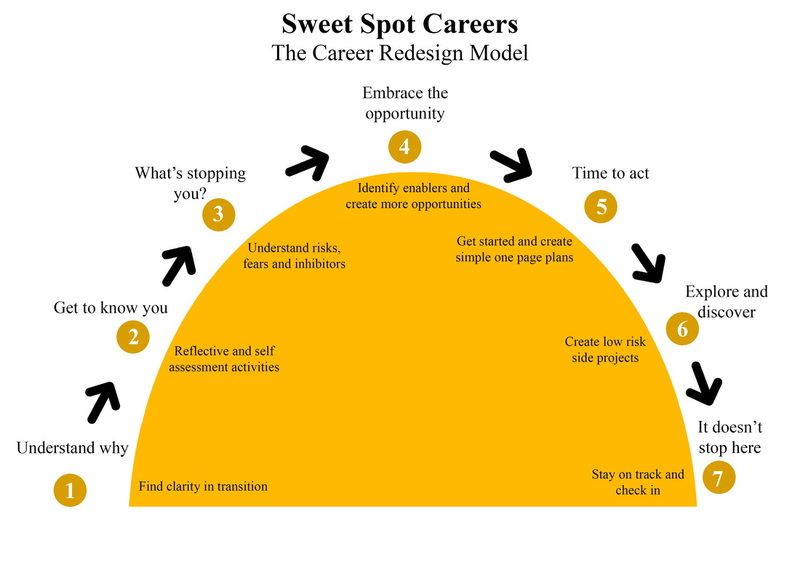 All participants also receive a copy of Sweet Spot Careers: A practical and creative guide to a successful midlife career transition, published in 2014. This comprehensive book is filled with additional activities, references, and insights from international authors and Australian case studies. The workshop size is kept to a maximum of 20 participants. The program is for 30-55 year old women who are ready to make an informed and conscious career choice, and help them create positive and lasting career changes. · In need of a more flexible work life and want to explore a number of interests like starting your own business. Payment: Full payment by EFT accepted at time of booking. 5% of profits will go towards Kiva http://www.kiva.org Kiva lenders combat poverty by making small loans to women around the world. 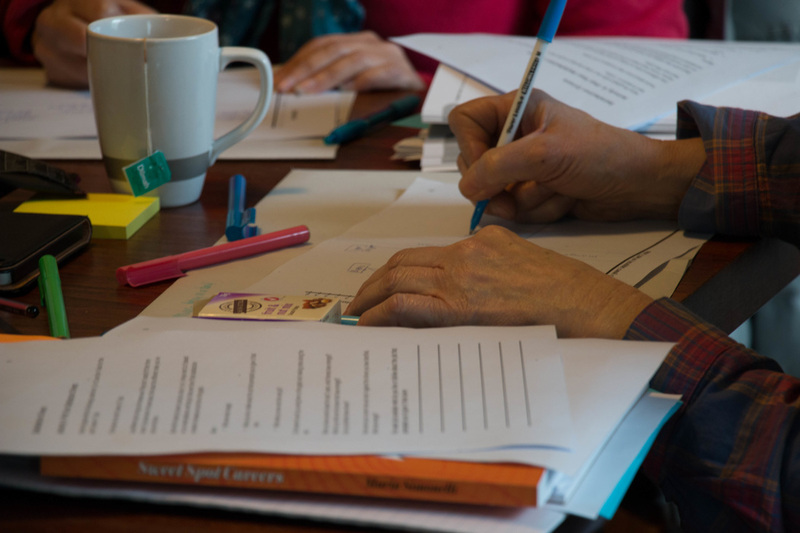 The Career Redesign Program is confident that participants will find that this workshop provides clarity about their career transition and can assist them to move from ideas to action, we thus offer a money back guarantee. We can not refund if you cancel as operational costs have already been incurred.